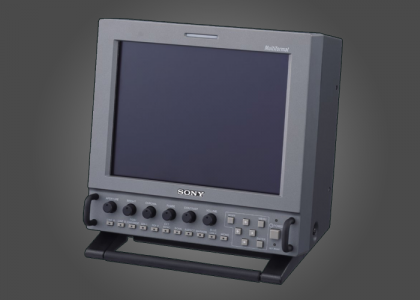 The Sony LMD-9050 is a portable 8″ LCD production monitor designed for space efficiency and complete standard video and HDTV production. The unit comes complete with BNC connections for HD-SDI and SD-SDI interface. It will also work in applications with standard definition composite or Y/C video requirements.